I have very found memories of the answer. I first discovered them in 2006 supporting Whitesnake (which is what I went to instead of my end of school prom). Their debut album ‘Rise’ was one of the best albums of that year, and it came at a time where pop punk was one the way out and synth rock was coming in. One of the songs that I enjoyed the most back in the day was there remake of ‘Preaching’ they made it their own no question. Sadly like with Alestorm I lost a bit of interest and forgot to keep up to date. For the past 4 years I’ve had several opportunities to see them perform in Nottingham but never got round to it. Well now that I have the latest album it’s a great time to catch up and to see what has changed in the past 8 years. The songs that I enjoyed and recommend the most are: ‘Long Live The Renegades’, ‘Cigarettes And Regrets’, ‘Strange Kinda’ nothing’ and ‘Whiplash’. The things that I liked the most is that all 4 guys are still very talented in their areas and can still deliver. Everyone does a good job. The influences can be heard in just about every song and there is lots of great experimentation to make it sound more interesting. It’s more laid back compared to the first album that makes this an ideal album for the approaching summer of 2015 “singing the answer all summer long”. The things that I didn’t like were that a fair few of the songs are not always overly interesting. They’re great for something to relax to but any other time it becomes a bit boring. You really have to be in a certain kind of mood to fully enjoy this, or least listen to it more that once. Being a bit bios I prefer the faster delivery of the songs from rise. 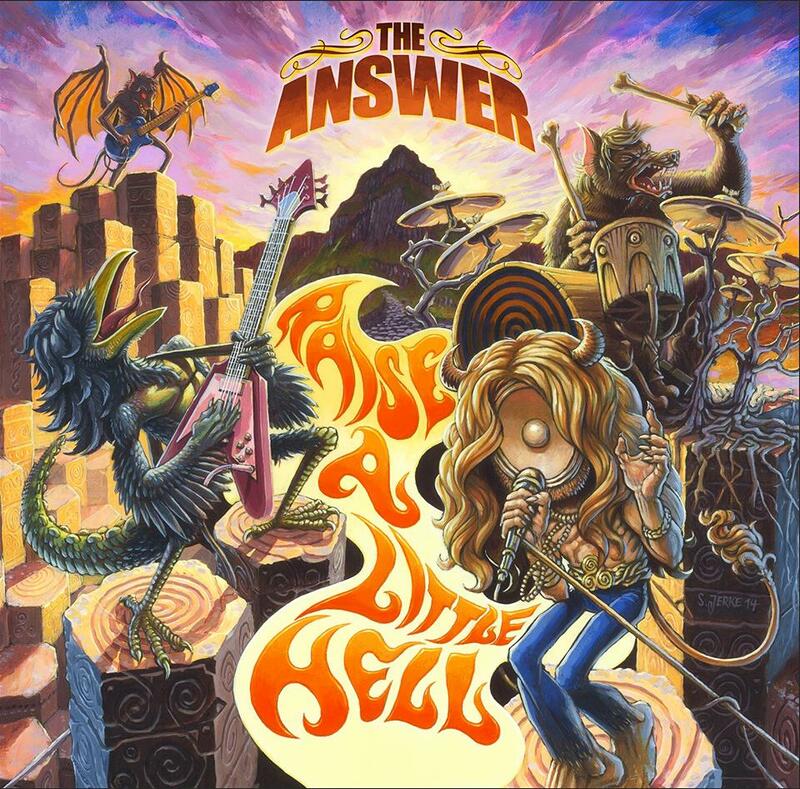 I am really happy to see that the answer is still going today and are still putting albums out. I like that British/Irish bands like these guys are still providing us with classic hard rock that has almost been forgotten (even if I do prefer European and Japanese bands). It has been nice to catch up again and what a funny coincidence they are playing in Nottingham again. 2 days before Amaranthe at the same venue, I’m going to have to go see them again now.